Today, one of the things that people need in their lives is cars. It has become a necessity for some people who live far away or do not have a close access to public transportation. Many developments have been made in the car industry to cater to different kinds of drivers. One of the most well-known car brands in the world is Nissan. While it has created several lines and models under its name, one of its most notable ones is the Nissan GT-R.
Unveiling in the year 2007, the Nissan GT-R is a top-of-the-line vehicle that was produced by Nissan. It comes as a 2-door 2+2 high-performance car. It was preceded by the Nissan Skyline GT-R even though this series is not really a part of the Skyline range anymore. The Nissan GT-R used to be a model based on the Skyline coupe that was produced between the year 1969 and the year 1974. This production again occurred between the year 1989 and the year 2002. However, the Nissan GT-R today is just an individual model that still has connections to the Nissan Skyline GT-R. 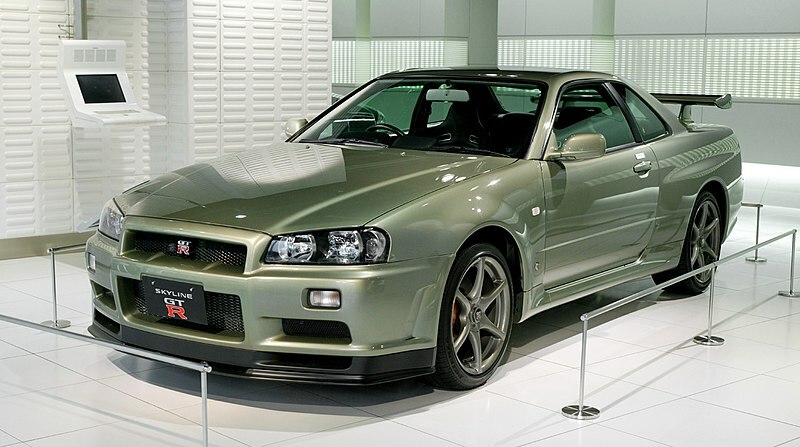 The GT-R actually quite resemble the later generations of the Skyline GT-R. It is a vehicle that comes in four wheels and is equipped with a twin-turbo 6-cylinder engine. Both types also incorporate that signature four round tail lights. On the other hand, the GT-R is still a whole new model on its own that was completely redesigned from previous Skylines. For one, the GT-R does not have the four-wheel-steering HICAS system, which the previous Skylines once had. Furthermore, the previous Skylines used to have the former straight-6 RB26DETT engine while the new GT-R utilizes the new V6 VR38DETT. The chassis code for the brand new form of vehicle is known as CBA-R35, more commonly called R35. Before the production model was unveiled to the public, only two concept cars were shown at motor shows. The first concept vehicle was unveiled at the Tokyo Motor Show in the year 2001. This was done only to show people what a GT-R in the 21st century would look like. A redesigned concept was later on introduced as the GT-R Proto at the Tokyo Motor Show in the year 2005. Nissan released a statement that the production of the GT-R would be primarily based on the redesigned concept that was shown that day. There have been many models prior to the latest R35 vehicle. 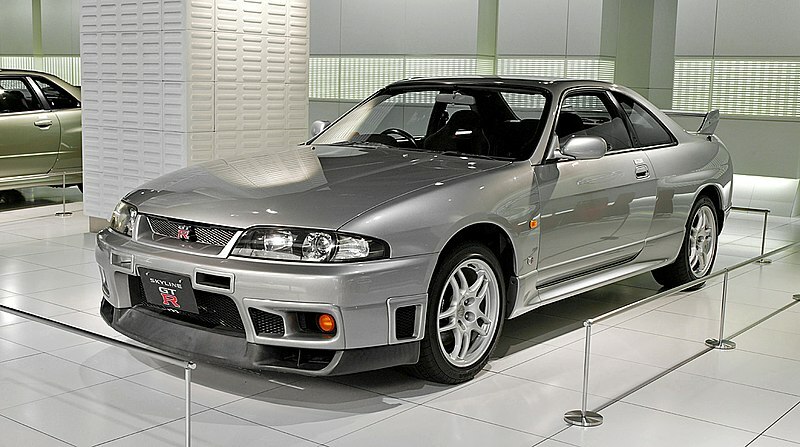 From the year 1995 to the year 1998, the cars being produced under the R-series was the R33 GTR Nissan Skyline. It was launched in January of the year 1995. It succeeded the very successful R32 model. Similar to R32, the R33 model utilized the same 2.6-liter twin-turbo engine. Even though both models used the same 5-speed manual gearbox, the R33 model’s syncros were designed to be stronger. Instead of maintaining the weak oil pump driver collar that can be found in the engine of the R32 model, the R33 incorporate a wider collar, which fixed the likelihood of the previous engine’s failure in higher power applications. The torque was also made to be a little higher by improving the intake camshaft on the engine in the R33 model. Because of a certain law in Japan, the R33 model cannot exceed the 280PS of the R32 model. Nonetheless, Nissan made sure to improve everything else to make R33 exemplary and just about better than the R32, which was already considered a great car to begin with. The R33 model was also called the “Godzilla” in Australia due to it being considered more superior than the Ford and Holden V8’s. This racecar was formidable in the racetracks around the world. It had garnered numerous trophies from several competitions. A highlight of this model’s history was when the R33 garnered the production car lap record at the Nurburgring circuit located in Germany. The vehicle finished the 13 miles and 172 corners of the circuit in only 7 minutes and 59 seconds, which was considered incredibly impressive. Even though the production model was only limited to 280PS, the engine of the vehicle was designed to handle a lot more power. The car retails for 45,000 US dollars. While this may seem expensive, a lot of racecar drivers took the plunge and purchased this car due to its incredible performance in the tracks. Coming up next is the Nissan Skyline GTR R34. Thanks to 11 years of intense competitive racing as well as extensive testing, this successor of R33 was a highly evolved version of its predecessor. It became among the best race-bred coupes in the industry when it was launched. Even though the R33 was definitely a great car, its successor the R34 was just so much better in every aspect. For one, in order to effectively and efficiently remove turbo-lag, the R34 model is equipped with twin ceramic intercooled turbochargers under the hood of the vehicle. The vehicle is also equipped with the RB26DETT engine. The 2568 cc 6-cylinder engine that the R34 used was the same as the one with R33, with the engine being able to retain the 280PS at 6,800 rpm. On the other hand, the R34 model just had better power delivery in comparison to the R33 model. The R34 also has more torque. The body of the R34 was also evidently made to be stiffer than its predecessor’s. In addition, the aerodynamics of the R34 model was significantly improved in comparison to the R33’s. As for the engine of the R34, the general layout still remained. It was still composed of straight six-cylinder configuration coupled with twin overhead camshafts as well as twin turbochargers and four-valves per cylinder. Also similar to the R33 model, the R34’s throttle chamber houses 6 standalone throttle valves with a single one per cylinder. The R34’s new six-speed close ratio Getrag gearbox helps in feeding power to the vehicle. The R34 also incorporated the “ATTESA-E-TS PRO.” It is basically a four-wheel drive system that is operated electronically. This drive system was designed by Nissan not just for road use but also for racetrack use. What makes this different is that the majority of other all-wheel drive systems are usually designed just for rally cars or for off-road driving. This excellent electronic drive system is composed of a series of sensors and was designed so that drivers could also control it well while in high speed. The system also features two centrally controlled wet multi-plate clutches, which helps drivers efficiently optimize torque split that may occur between the rear axles and the front axles. This feature provides better stability under cornering, accelerating, and braking. Another great thing about this model is its weight. The weight of the Nissan Skyline R34 GTR was significantly reduced from its predecessor. Instead of using the previous light alloy wheels, this model utilized lightweight carbon fibers for its read diffuser, which cut back more than 7.7 kilograms of weight. Even its audio speakers became lightweight. As for the front wings and bonnet of the car, a new type of aluminum was utilized instead of the hoods incorporated in the R34’s predecessors. This cut back the weight of the car by around 1 kilogram of weight. The R34 model retails at 89,500 US dollars. Despite this steep price, many racecar drivers consider it worth the money thanks to its great performance on the road and on the tracks. The latest model in the R-series is the Nissan R35 GTR. It made its debut at the Tokyo Motor Show in the year 2007. A few months later, it was launched in the Japanese market on the 6th of December in the year 2007. Its launch in the US was made on the 7th of July the following year. One of the things that make this model extra special is that its engine and rear-mounted dual-clutch gearbox are assembled manually by hand. As a result, production of this model is limited to only about 1,000 cars per month. Also, one of its special features is the first independent transaxle 4WD in the world, which was developed by Nissan. One may notice that the R35 no longer carries the name “Skyline.” However, this model still carries heritage in the previous versions. An example of this would be the R35’s all-wheel drive coupled with a twin-turbo six-cylinder engine. This is the same as the ones used in the R33 and R34 models. However, the engine of the R35 also got an upgrade. Instead of the usual Straight-6 RB26DETT engine, the R35 incorporates the new V6 VR38DETT. The R35 also no longer has the four-wheel-steering HICAS system. Still, the R35 was able to retain the nickname “Godzilla,” which just goes to show that the performance of the R35 does not fail to impress. The first concept vehicle of the R35 was introduced at the Tokyo Motor Show in the year 2001. A redesigned concept of the model was later on unveiled at the same show in the year 2005. This redesigned concept was called the GT-R Proto. The multifunction display of the R35 was designed by the creators of the Gran Turismo series. For those who are not aware, the Gran Turismo series is a series of racing video games. The R35 was designed to provide exemplary performance for any driving situation. This applies whether the car is on urban streets, on the racetracks, on snow, or on rain. Thanks to the advanced technology and driving dynamics of the car, these conditions are all manageable. Nissan has stated that this model can reach a top speed of 195 miles per hour or 314 kilometers per hour. The model was said to also have been tested to attain 0 to 60 miles per hour, which is equivalent to 97 kilometers per hour, in as low as 3.2 seconds. Along with the other claims of Nissan, this model is said to be among the fastest productions cars to traverse the Nurburgring circuit in Germany. This model retails at 69,850 US dollars. A new model under the GT-R series is the GT-R NISMO. Apparently, this new model can sustain the power of up to 441 kW. The top speed of the vehicle can reach 196 miles per hour, which is equivalent to 315 kilometers per hour. This edition was introduced by Nissan in the year 2014. This model has a fuel tank capacity of 74 liters, which is equivalent to 19.5 US gallons or 16.3 imperial gallons. The car is equipped with additional front and rear brake cooling ducts. In addition, the car is also installed with a full NISMO tuned suspension. This includes a hollow 17.3-millimeter, which is equivalent to 0.68-inch, rear stabilizer bar. The interior of the NISMO edition is also impeccable. It incorporates specials seats in black and red colors. These were made with synthetic suede for that luxurious feel. In addition, the steering wheel and the instrument binnacle are also accentuated by synthetic suede. Of course, what one has to look out for is the successor of the R35 model. There have been talks of when R36 will be launched as well as its upgraded features. For now, fans can only sit back and wait for the concept vehicle of the R36 to be unveiled. With the rate that Nissan is going, the Nissan GTR R36 would surely be another great addition to the R-series.